BAT - BLOG : BATMAN TOYS and COLLECTIBLES: Custom #BATMAN #BATMOBILE Spotted at Six Flags! Custom #BATMAN #BATMOBILE Spotted at Six Flags! HEEE HAAAWW! Well, it looks like one of the Six Flags Amusement Parks (Texas location maybe?) 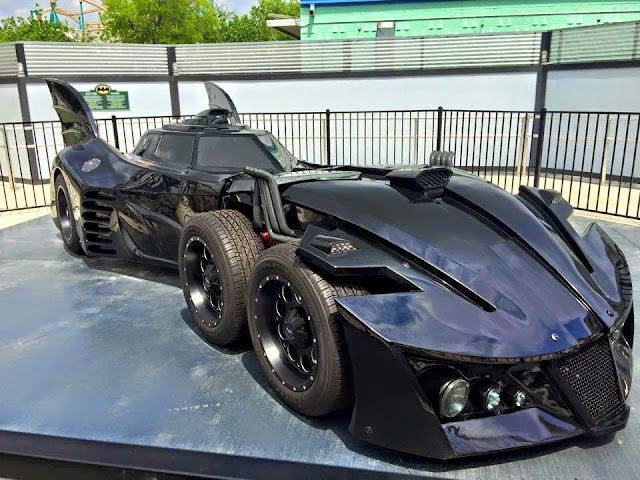 has placed a Custom Replica Batmobile in it's theme park as decoration. 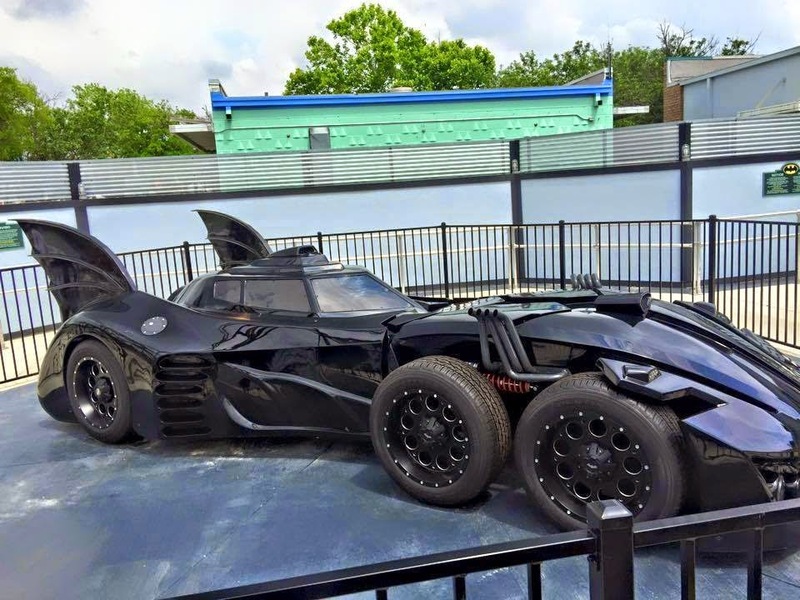 Hey, I don't remember this car ever having six tires, but that's OK, it looks kinda cool!